Shares in Patisserie Valerie have been suspended after the cafe chain discovered “significant, potentially fraudulent, accounting irregularities”. The company said these could cause a “potential material” mis-statement in its accounts. The company’s cash position could be affected and “this may lead to a material change in its overall financial position”, it added. 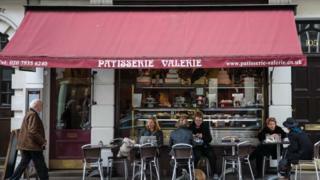 The first Patisserie Valerie store was opened in the Soho district of London in 1926 by a Belgian woman, Madame Valerie. It now has more than 150 stores around the UK and also trades in the supermarket chain Sainsbury’s.